The U.S. Food and Drug Administration today announced new efforts to better understand how the agency can appropriately balance patient safety while encouraging advancements in hearing aid technology and access to these devices in the United States. The FDA will convene stakeholders for a public workshop and has re-opened a public comment period on a draft guidance related to the agency’s premarket requirements for hearing aids and personal sound amplification products (PSAPs). According to statistics compiled by the National Institute on Deafness and Other Communication Disorders (NIDCD), 37.5 million adults aged 18 and older in America report some form of hearing loss. However, only 30 percent of adults aged 70 and older and 16 percent of adults aged 20 to 69 who could benefit from wearing hearing aids have ever used them. NIDCD is part of the National Institutes of Health. Most hearing aids are regulated as Class I (low-risk) medical devices and are generally exempt from premarket review and clearance by the FDA before marketing. Hearing aids are, however, required to comply with general regulatory controls used to ensure the safety and effectiveness for medical devices. A report from the President’s Council of Advisors in Science and Technology (PCAST) recently recommended possible modifications to the FDA’s regulation of hearing aids that the council believes could “enhance the pace of innovation” and lead to a “decrease in cost and improvement in capability, convenience and use of assistive hearing devices.” As a result of the report, the FDA is further engaging stakeholders to consider how best to ensure that its regulations and policies are clear, up-to-date and well-understood, and that they both protect the public and foster innovation in this important area. The FDA will host a public workshop, “Streamlining Good Manufacturing Practices (GMPs) for Hearing Aids,” April 21, 2016, at the FDA’s headquarters in Silver Spring, Maryland. The workshop will outline the agency’s perspective on the current GMPs that are required under the agency’s Quality Systems Regulation (QSR) and gather stakeholder and public input about alternative models for regulation that would accelerate innovation while still enabling quality design and manufacturing for hearing aids. The FDA is also reopening its comment period on a draft guidance that clarifies the difference in regulatory requirements between hearing aids and PSAPs—wearable electronic products for use by non-hearing impaired individuals to amplify sounds in certain environments. 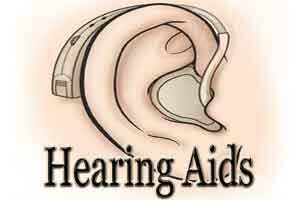 The draft guidance states that hearing aids are medical devices subject to GMPs and other QSR requirements. However, the FDA considers PSAPs to be electronic products, as opposed to medical devices, and the guidance states that manufacturers should not use product labeling or promotional materials to suggest that hearing impaired consumers should use them. In reopening the guidance, the FDA is seeking feedback on the availability, accessibility and use of hearing aids and PSAPs for consumers with hearing impairment, particularly as it relates to issues and recommendations identified in the PCAST report.